An Austin organization founded by a self-identified anarchist is no longer releasing information on how to use 3D printers to make guns at home in light of legal challenges from states. "I was proud to stand up to Cody Wilson and Defense Distributed, and to make clear that their plans to share printable gun codes with everyone — including terrorists, criminals, and juveniles — was a threat to all our residents," Grewal said in a statement. The attorneys general of several states — Texas is not one — have sued the Trump administration in a Seattle federal court separately from the New Jersey suit, requesting a nationwide restraint on the publication of the files. The judge in that federal case issued the restraining order Tuesday afternoon, according to The Associated Press. Second Amendment Foundation founder Alan Gottlieb told The Texas Tribune that several cities and counties have used zoning laws to push out gun stores, making printed guns an alternative to maintain Second Amendment rights. "You can't keep and bear arms if you don't have the right to buy and make them," Gottlieb said. "And since they're shutting down the right to buy guns, making them is another option." The State Department reached a settlement with Wilson's organization earlier this summer, essentially giving Wilson the green light to start what he describes on his website as "the age of the downloadable gun." Gun-regulation advocacy organizations, including the Brady Campaign to Prevent Gun Violence, Everytown for Gun Safety and the Giffords Law Center, had filed a motion in Wilson's original case against the federal government to stop Wilson from uploading the blueprints, but presiding Judge Robert Pitman denied the request on Friday, prompting Wilson to upload the files for a select number of firearms. More than 1,000 people downloaded the data to create AR-15 semi-automatic rifles between Friday and Sunday, The Chicago Tribune reported. 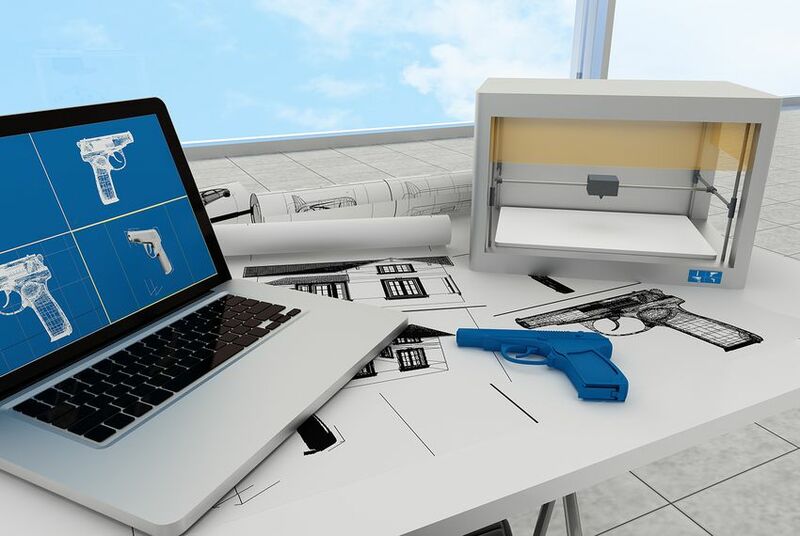 Chris W. Cox, executive director of the National Rifle Association Institute for Legislative Action, said in a statement that federal law has made it illegal to manufacture undetectable firearms and online instructions on 3D printing do not change the law. Hogan Gidley, White House deputy press secretary, told reporters during a flight that it is illegal to create wholly plastic guns "of any kind" and that the President supports the law. Gottlieb said Wilson had originally planned not to release the files in the states involved in the lawsuit and has filed a retaliatory lawsuit against those states in a Texas federal court, calling the states' actions "intimidation." Gyl Switzer, executive director of Texas Gun Sense, urged Texans to contact U.S. Secretary of State Mike Pompeo to reverse the department's settlement with Defense Distributed, arguing it creates an "unregulated class of firearm owners." She also said the granting greater access to firearms increases risk of suicide, adding more than 60 percent of firearm deaths are by suicide. "Many other things are regulated in our world," Switzer said, rejecting the idea that gun regulation would violate First Amendment rights. "When it becomes a danger to our communities, state and international relations, there’s certainly space to talk about First Amendment rights and safety and security."